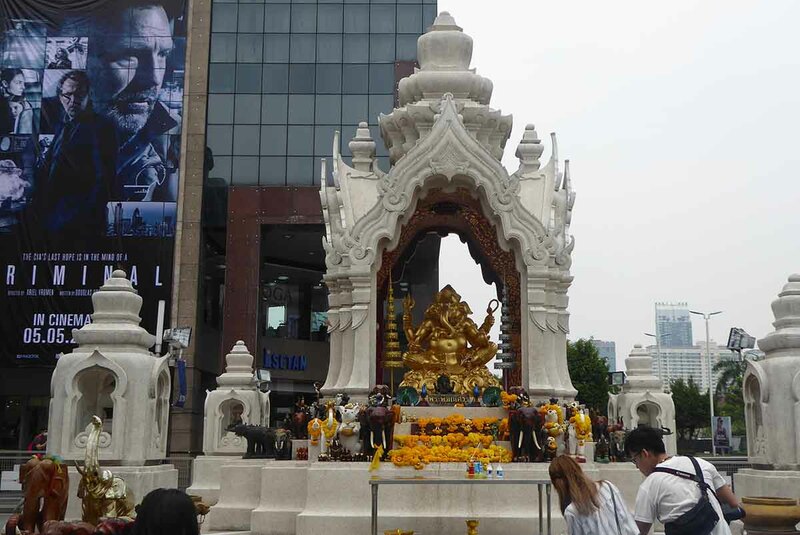 The Ganesha & Trimurti Shrines sit side by side at the front of the Central World shopping mall in central Bangkok. 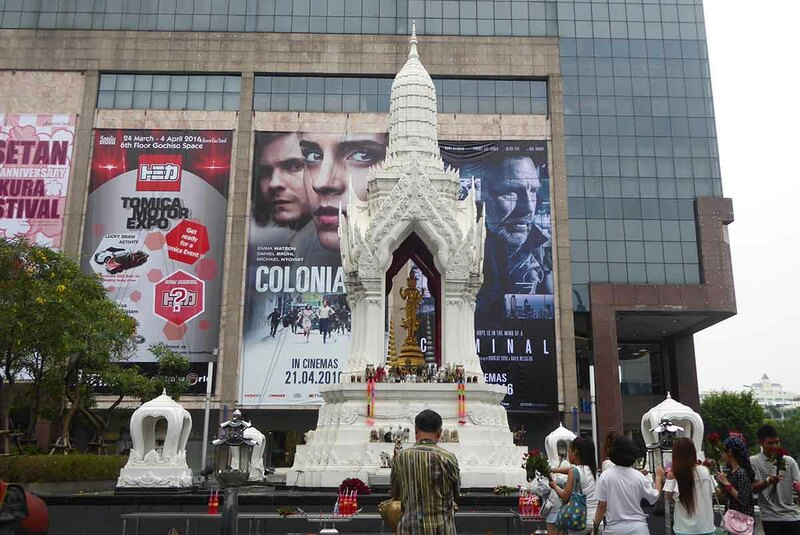 They attract a regular stream of worshippers who like to pray and leave offerings. The four armed Ganesha has a human body and an elephantine head. He holds an object in each of his four hands. In the first hand is a noose that signifies cutting attachments and conquering emotions. In the second hand is a weapon to help him destroy evil. The tusk in the third hand signifies the removal of obstacles and the kotok in the fourth hand signifies success. Ganesha is worshipped as the god of Success, knowledge, education, wisdom and wealth. 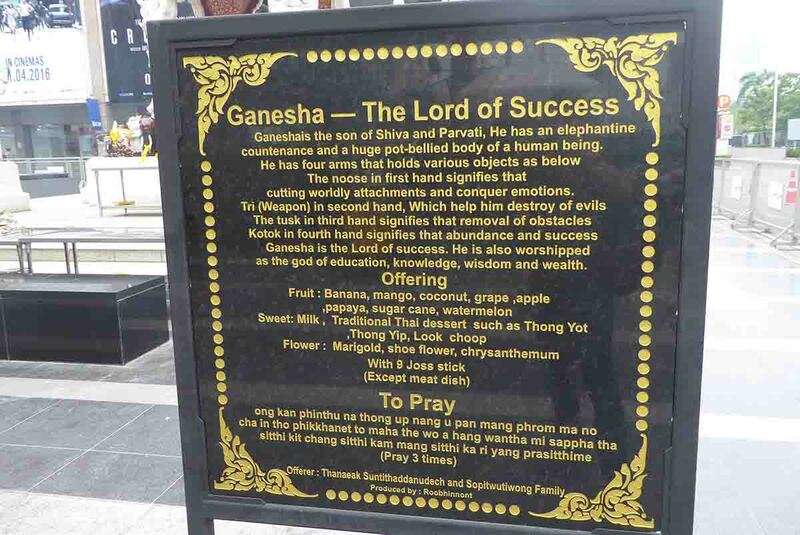 The offerings that are made to him include certain fruits, Sweets, flowers and small elephant statues, completed with nine joss sticks and a prayer which is repeated three times. Meat should not be offered. Trimurti is believed to be the god of love. 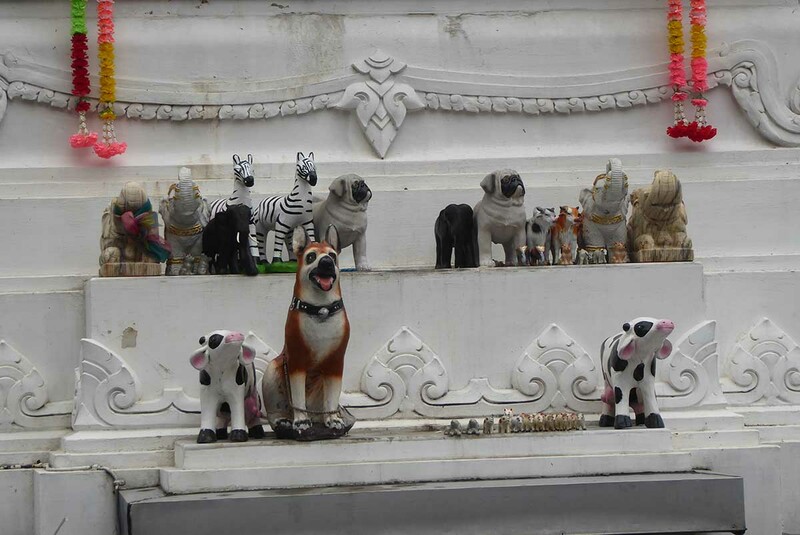 Many worshippers come to the shrine at 21.30 on Thursday evenings to make a wish for love as it is believed that the god will descend from heaven to collect their wishes. Worshippers should offer nine red roses, red candles, and nine incense sticks. The shrine is very busy on Valentine’s day.